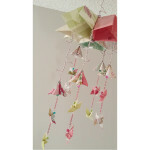 Dimensions: 12.0" x 12.0" x 12.0"
Add a little uniqueness to your little boy's room with this one of a kind, handcrafted, origami mobile. 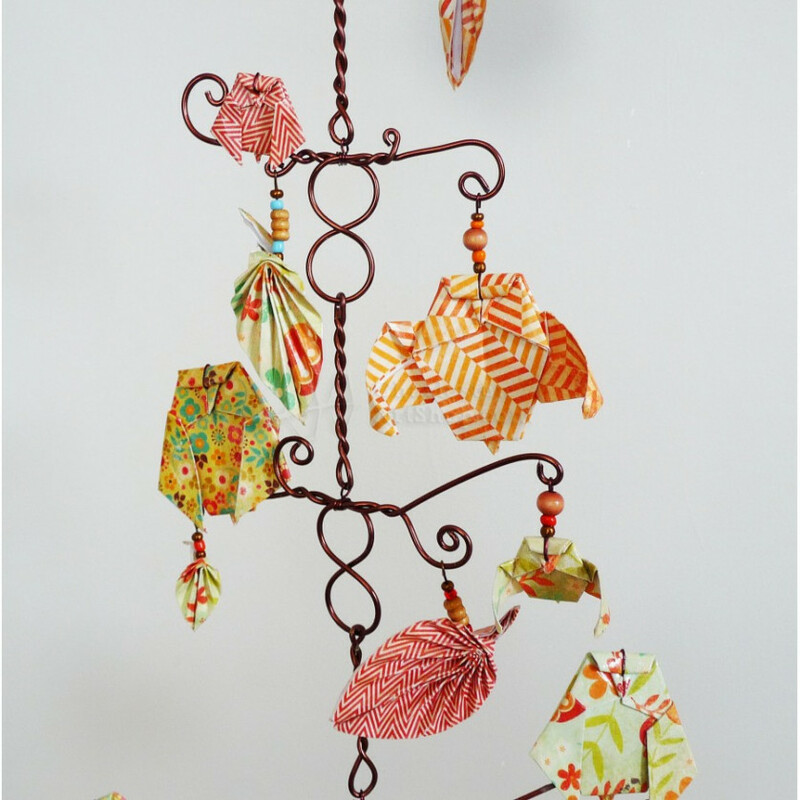 There are fourteen origami pieces that consist of owls and leaves, all are securely attached to this decorative treetop wire base. 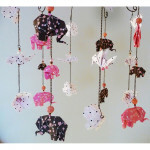 A lot of process and detail goes into every piece I make; I carefully hand folded each origami piece in clean and precise folds in beautiful pattern paper, then I glued down some of the folds so that the origami stays formed for years to come, lastly, I apply paper sealer for longer durability and lasting colors. 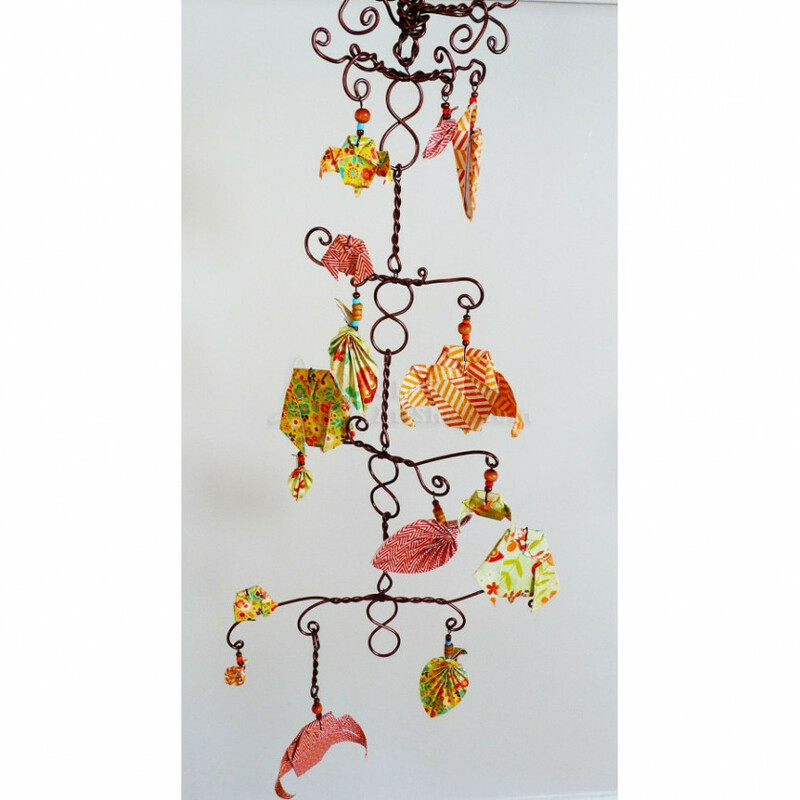 I then strategically placed each piece to balance out this intricate treetop wire frame, often times with the slightest breeze, this mobile will give a teeter-totter affect. 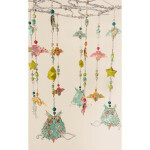 This mobile is approximately 24 inches long and from the widest point roughly 10 inches wide.